The Turbocharger To inletmanifold Turbine housing Oil supply Lubricates and cools thebearing of the central shaftwhich may turn at speedsapproaching 200,000 rpm. To exhaustsystem Turbine wheel Placed in exhauststream and turnedby exhaust gases. Exhaustgas inlet Oil return Central shaft Runs in oil-fedbearings androtates withturbine wheel. 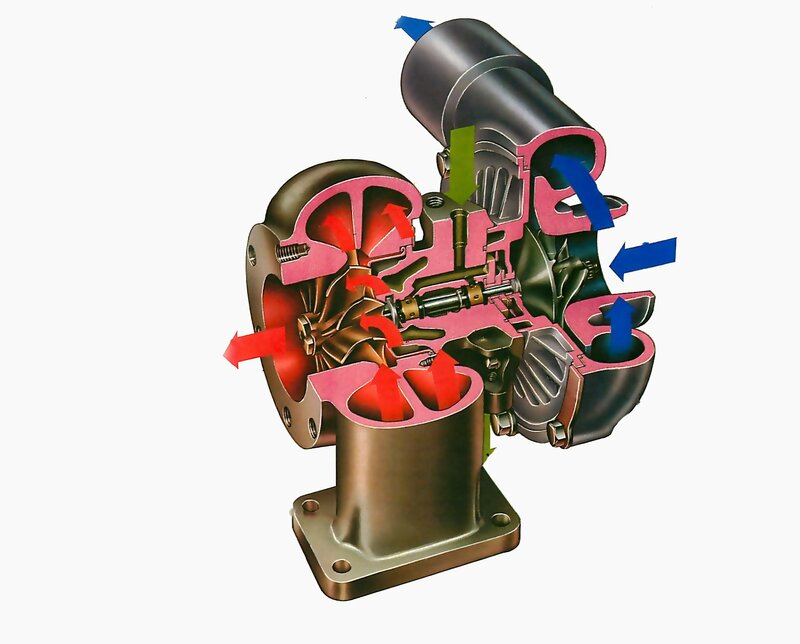 Compressorhousing Filteredair intake Compressor wheel Driven by turbinewheel via centralshaft, it forces extrafuel/air mixture intoinduction system.